Having traveled across the country to help everyday people with their cooking challenges, Chef Tyler Florence has developed a unique perspective on how Americans like to eat and cook today. He is a champion for uncomplicated recipes, bright flavors and fresh food, which he believes is the type of cooking that comes from a “real kitchen” – a place dedicated to culinary honesty. Tyler has received acclaim from the national culinary community for his creativity and dedication to the art of cooking. He has been recognized as a leading chef by publications such as Food & Wine, GQ, Wall Street Journal, USA Weekend and People. In 1991, Tyler graduated with honors from the College of Culinary Arts at Johnson & Wales University in South Carolina. After relocating to New York City in 1992, he honed his culinary skills under the tutelage of some of the city’s premier chefs, including Charlie Palmer at Aureole, Marta Pulini at Mad 61 and Rick Laakonen at River Café. Confident of his culinary talent, Tyler accepted the Executive Chef’s position at Cibo in 1995, where his original creations received applause from numerous New York City publications, such as New York Times,New York Magazine and Crain’s New York Business. In 1998, Tyler opened the critically acclaimed Cafeteria in Manhattan as Executive Chef; under his direction, the restaurant received a nomination for “Best New Restaurant” in Time Out New York. While firmly establishing his reputation and credibility on the New York food scene, Tyler also made his television debut in 1996 with guest appearances on Food Network. Tyler’s national appeal was confirmed with the launch of Food 911 in 1999. He also has hosted other Food Network shows, including Tyler’s Ultimate, Planet Food, All American Festivals and My Country, My Kitchen. Tyler is a regular on NBC’s TODAY show and has appeared on The View, Rosie, E! and Access Hollywood, among others. Florence has written Tyler Florence’s Real Kitchen, Eat This Book: Cooking with Global Fresh Flavors and Tyler’s Ultimate: Brilliant Simple Food to Make Any Time. Do you want to hire Tyler Florence? Directly request a quote. In 48 hours we can send you the availability of Tyler Florence If you would like to book Tyler Florence, Entertainment Booking Agency is the right place. We will offer you the best price and contact the management or we directly contact Tyler Florence. For corporate appearances or speaking engagements you can contact our agents and the will help you true the process. Tags: hire Tyler Florence, Tyler Florence booking, book Tyler Florence, Tyler Florence appearances, find more information on booking Tyler Florence for appearances, Tyler Florence speaking engagements, Tyler Florence endorsements/spokesperson, Tyler Florence appearance fees, Tyler Florence booking agency contact info, biography of Tyler Florence, Contact an artist booking talent agent find a speakers bureau that can book Tyler Florence, speaker booking agency for Tyler Florence, Tyler Florence booking agency, Tyler Florence booking for corporate event. EBA is one of the biggest entertainment booking agencies in the World. We book hundreds of celebrities, artist, athletes and speakers in a year. Important to know is that we are not claiming to be the management of Tyler Florence. 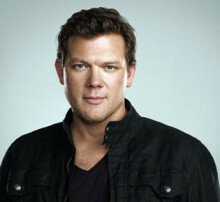 We are not the official agent for Tyler Florence. Companies from around the globe book these artists and speakers true our company be course we have one of the biggest networks and we always have direct contact with the artist or the management. We help you to find the right celebrities for your corporate of private events. Please contact one of our agents to get free advice and we will help to get the world-famous artist on your party.